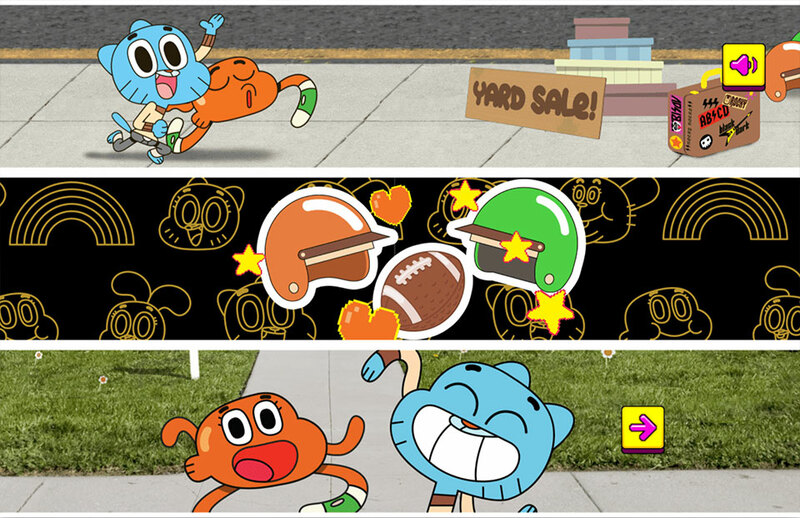 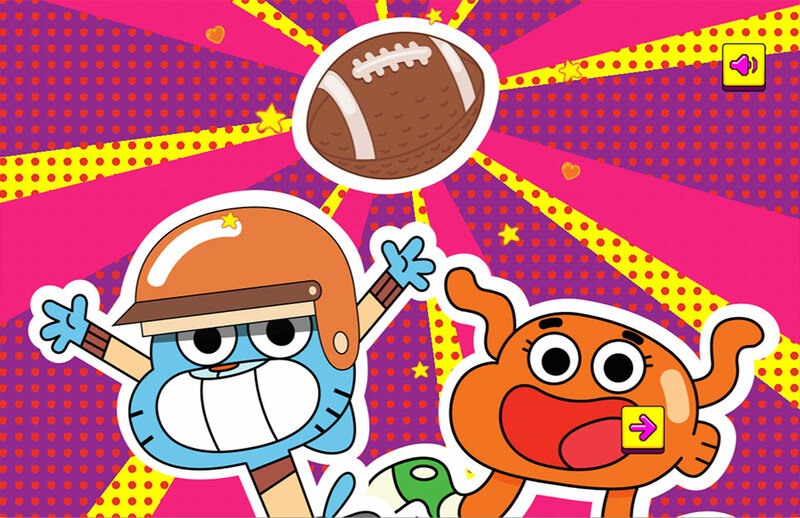 The street is having a yard sale but Darwin and Gumball decide to throw their football about… Go long! 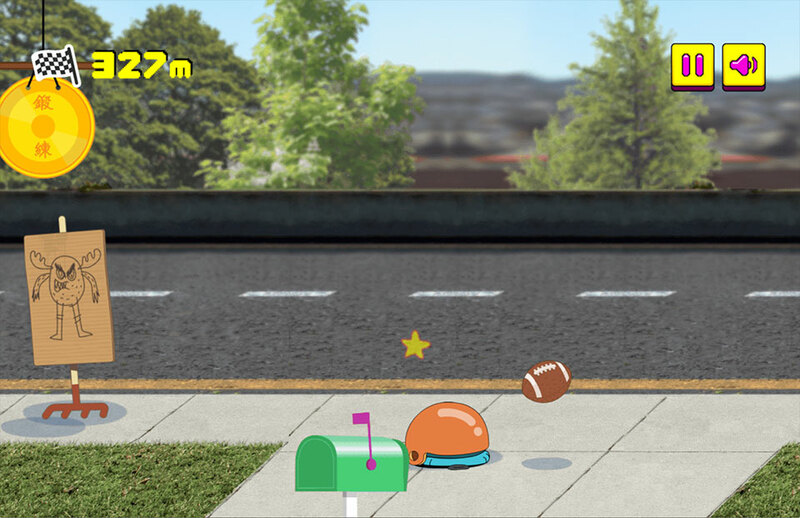 Trouble is the street is littered with obstacles, so Darwin has to jump or barge his way through things to keep on running before the ball comes back to earth. 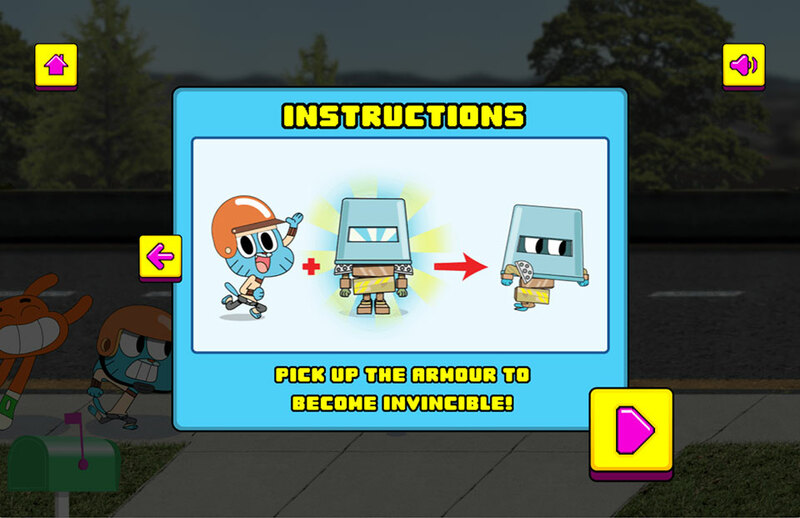 If you pick up the bucket armour then you’re invincible for one collision. 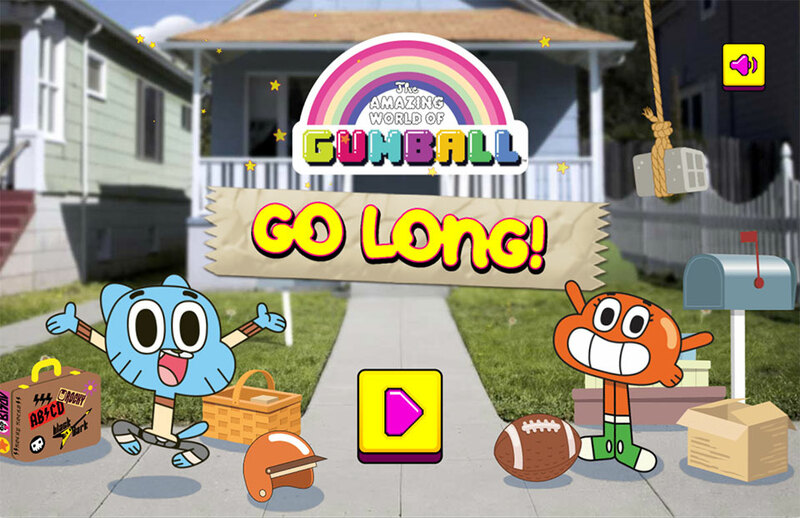 Designed for mobile and desktop platforms, Go Long! 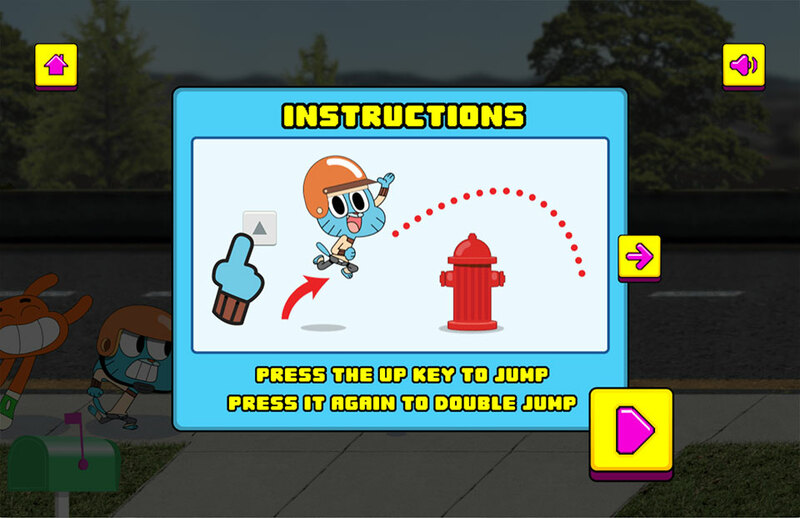 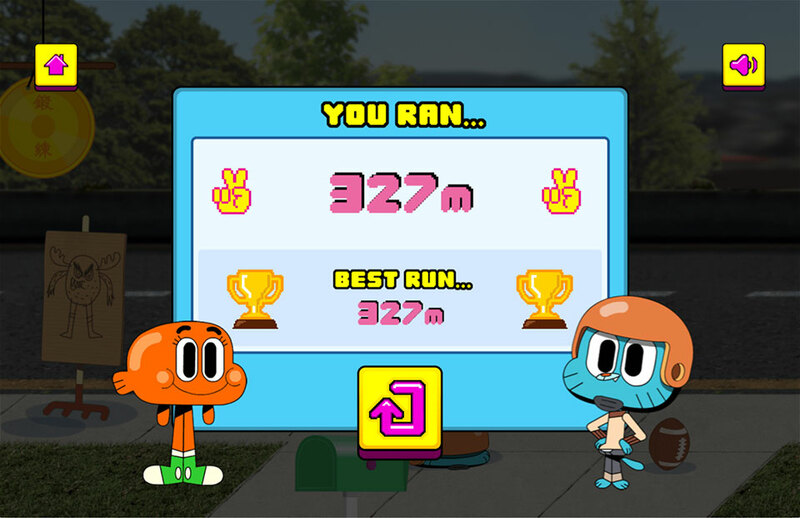 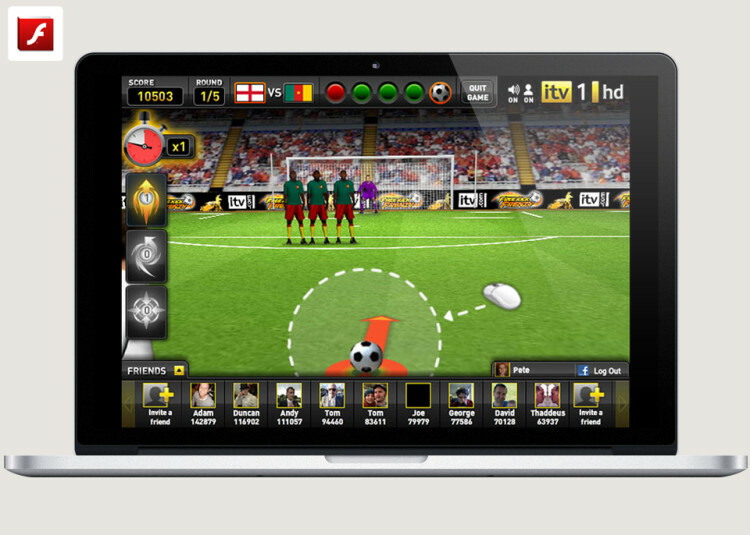 is a immediate pick and play arcade game. 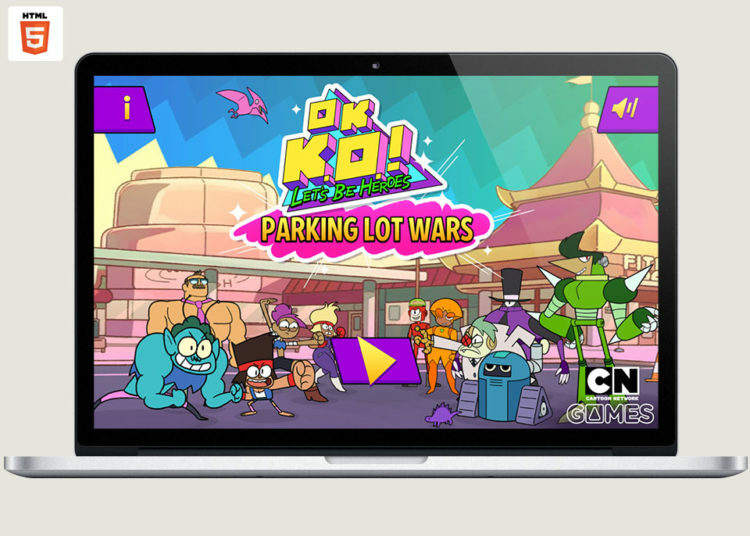 Featuring excellent character animation and music from the show, it racks up the replays.